We have now completed Week 2 of the State Champs which saw our youngest teams- U11 Boys & Girls and our U13 girls, compete. 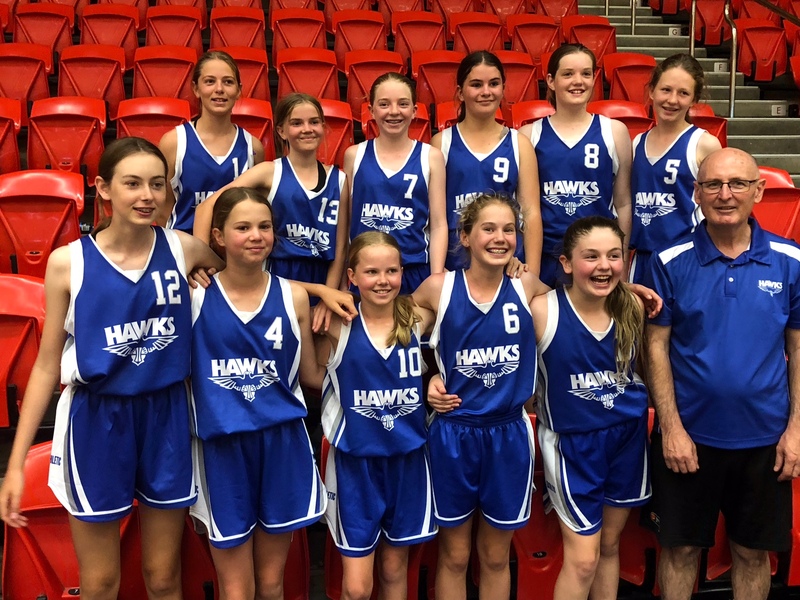 We had a total of 11 teams play over the weekend and for a number of these players, this was the very first time they have played in a Hawks team in a Basketball WA competition. A total of 109 boys and girls made up these 11 teams and along with their coaches and managers represented the Hawks in fine fashion. Although our U13-3 Blue team, coached by Shane Perret ,was the only team to make it to a Grand Final, we saw the U13CH Girls and U13-2 Girls reach the semis. All our U11 teams played well and a couple of these missed out on finals by a small margin. Thanks to all of our parents and friends who went to Warwick and to Bendat Basketball Centre to cheers their players on. Big thanks to all the players and coaches and we will see you all on the 31st January for our WABL trials.